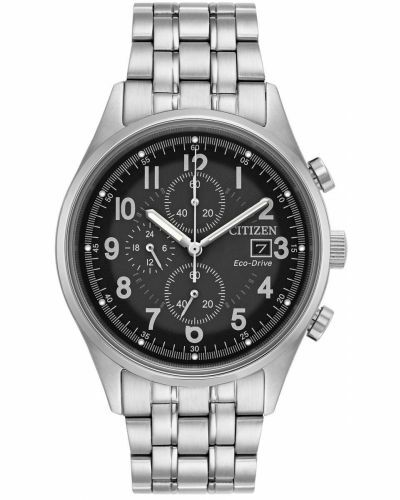 This striking men's watch is brought to you by Citizen as part of their Chandler collection. This bold watch features a 41mm round stainless steel case and bezel housing a grey-blue sunray dial complete with crisp white Arabic numerals and white batons. 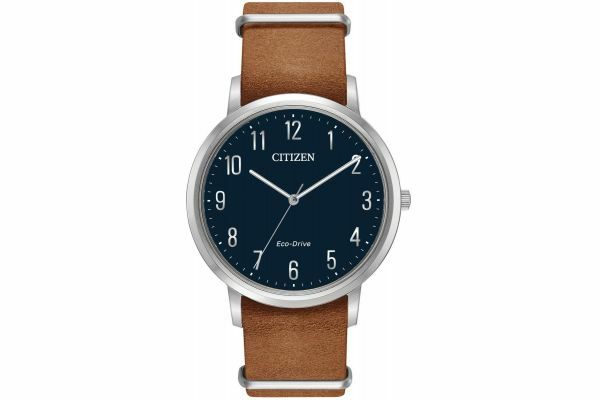 Classically styled, this watch features a genuine tan leather NATO strap complete with a stainless steel buckle fastening. 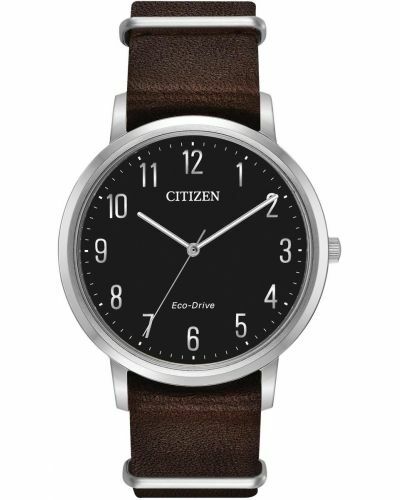 Powered by Citizens patented Eco-Drive technology and protected by mineral glass this military inspired watch is water resistant up to 50 meters. Complete with a 5 year guarantee. 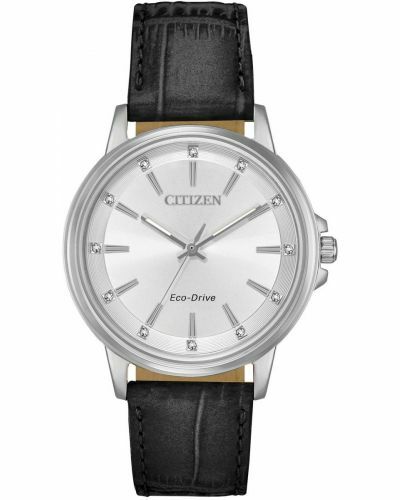 For us to size your new Citizen Chandler watch as accurately as possible, please take a look at our downloadable Watch Sizing Guide.